Targeting landlords as a blight on the housing market will not help resolve the problems highlighted in the government-commissioned housing stocktake, experts say. Released Monday, the review assesses the entire housing continuum from homeownership and market renting, to state housing and homelessness, and the social cost of substandard housing. It finds that the housing crisis is deeper and more entrenched than previously revealed and presents a sobering picture of the impacts. But for many property commentators the review, which does not include official recommendations, misses the mark. 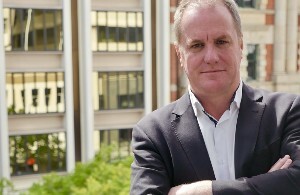 Property Institute chief executive Ashley Church says the original goals of the review appeared to have been hijacked by the issue of homelessness. The review offers no solutions to the housing crisis which can only be fixed by a significant boost in supply – not by piling more and more regulations on to private rental property providers, he says. “We are not anti the intent of the Healthy Homes legislation and some of the tweaks to the rental market may well be needed. Church suggests that reintroducing depreciation on new rental properties for the first 10 years and dropping the penalising of landlords would work to encourage investment in good rental stock. The review acknowledges that private rental housing will feature prominently in the future housing landscape, even if more social housing is built and home ownership options for first time home buyers are improved. For this reason, NZ Property Investors’ Federation executive officer Andrew King says it is important to acknowledge that a key reason for the drop in rental stock is that providing rental property has become progressively more difficult in recent years. “Increased regulation, higher costs, larger deposit requirements and a generally negative attitude towards the people who provide homes for tenants has led to some landlords exiting the industry. But he adds that even without new regulations and cost increases, it is difficult to see how the required increase in rental property supply will be achieved. Meanwhile, political response to the housing stocktake was mixed. National Party housing spokesperson Michael Woodhouse says it adds no new knowledge or solutions and simply repeats the already well-publicised views of the authors. The government’s flagship KiwiBuild policy is the only new programme in the offing – yet recent advice from officials shows it is unlikely to deliver the numbers of new homes promised, he says. “The solution to housing pressures is simply to get more houses built but house building activity is expected to grow more slowly in the next couple of years than it has in the last couple of years. But ACT Party leader David Seymour says that at least the review provides official acknowledgement that there is a problem with housing.